We are glad to finally reveal that the next album, titled Detta Har Hänt, will be released worldwide on Transubstans Records in May/June. The album was recorded during winter 08/09, partly assisted by Mattias Olsson of Änglagård, and represents the band's evolution since the release of the critically acclaimed debut album Tid är Ljud (2006). 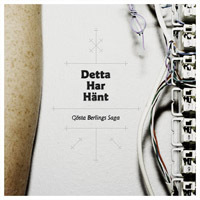 Whereas the previous album dealt with the interaction between nature and city, Detta Har Hänt focuses on the latter with eight stories about the languishing welfare state, industrialism and love. The songs range from full-blown epic soundscapes via dissonant darkness to minimalistic powerful grooves without compromising when it comes to the strong melodies the band is known for. The basis for the album was recorded live in the band's own studio Pelikaan, which has preserved a genuinely organic and highly energetic feel to the music. Overdubs have been made with instruments such as Mellotron, Minimoog and pump organ to give even more dimensions to the colorful sounds of Gösta Berlings Saga. In conclusion Detta Har Hänt is a gigantic leap forward in all musical aspects, and should not be missed by anyone interested in new music. Limited first edition in a sombre digipack.